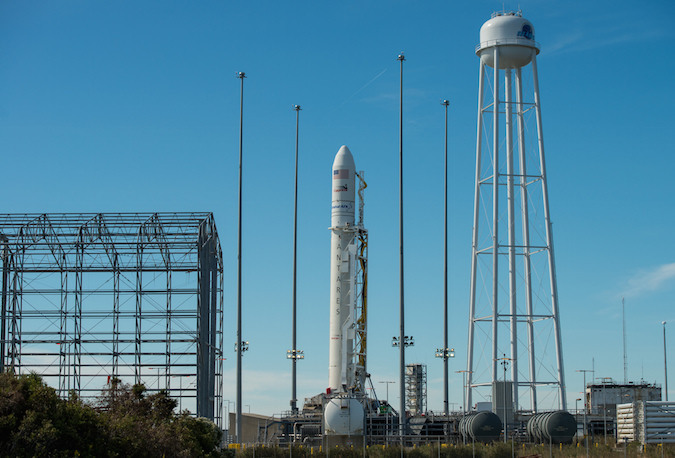 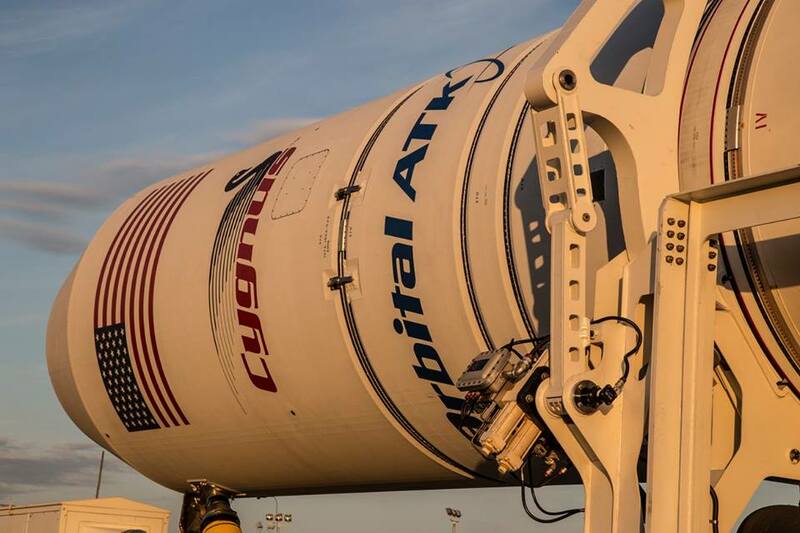 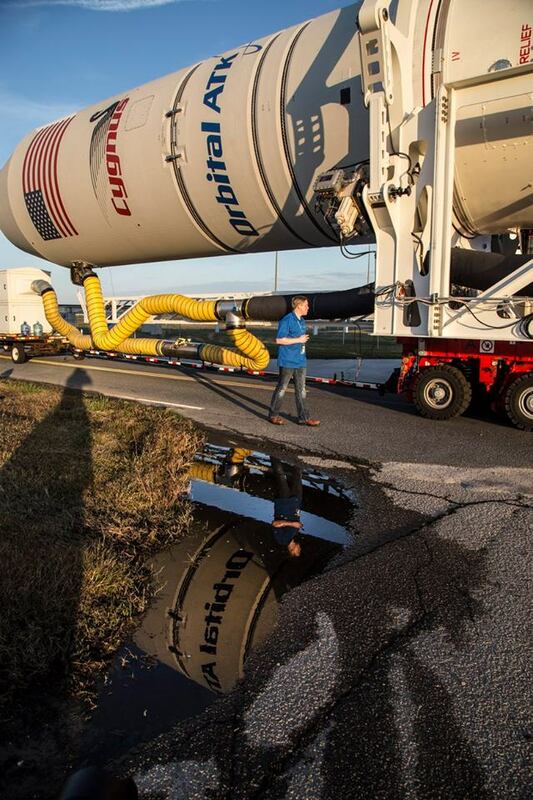 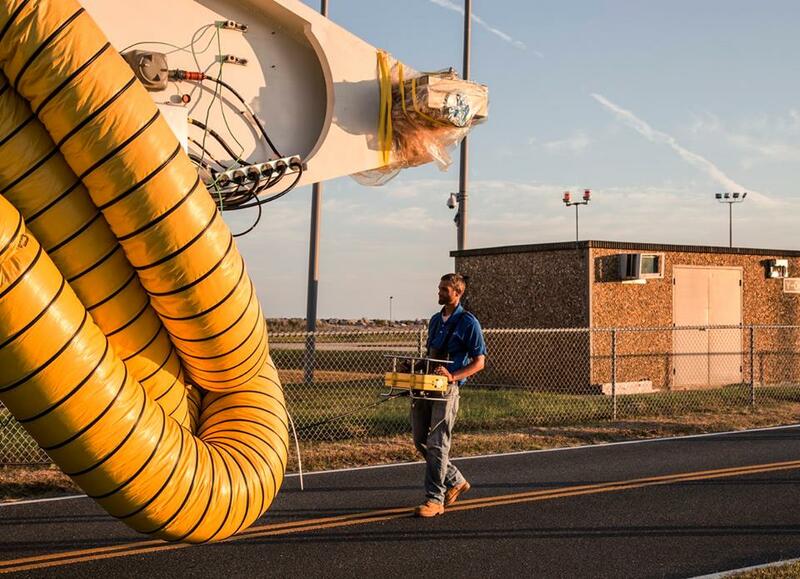 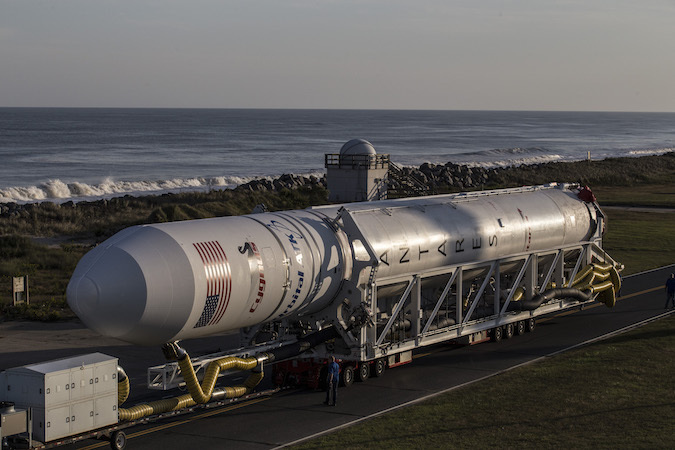 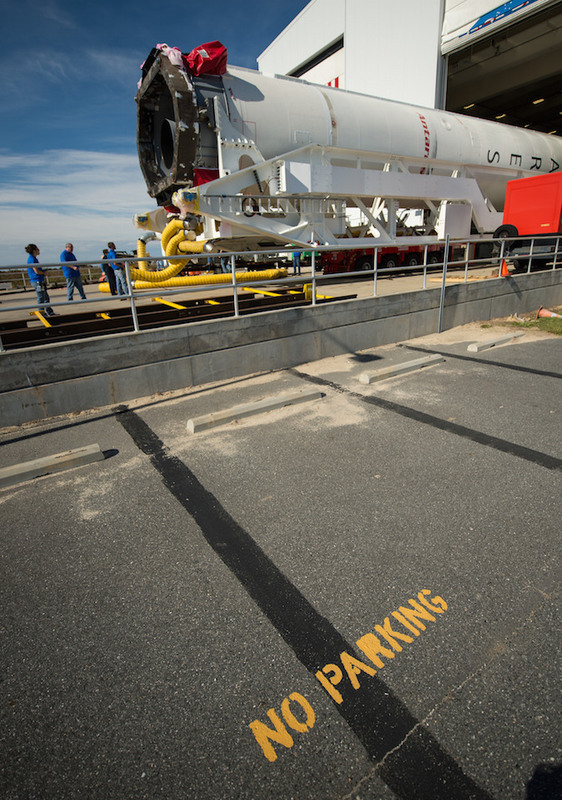 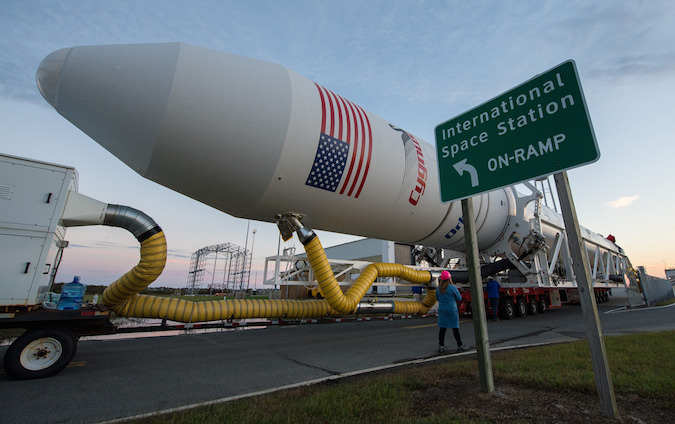 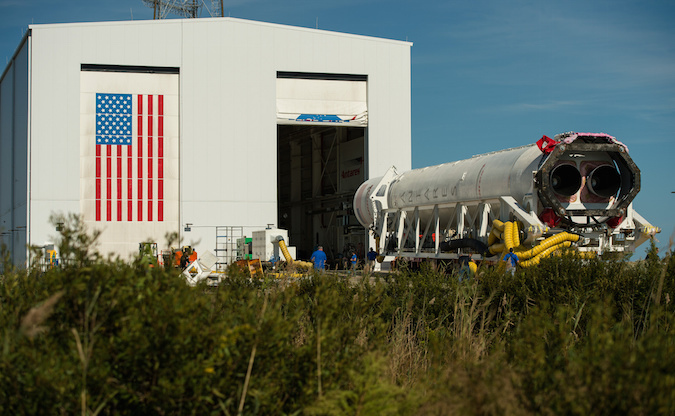 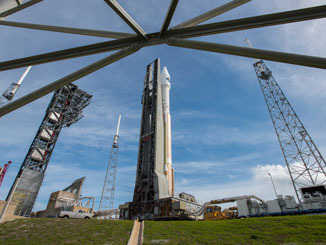 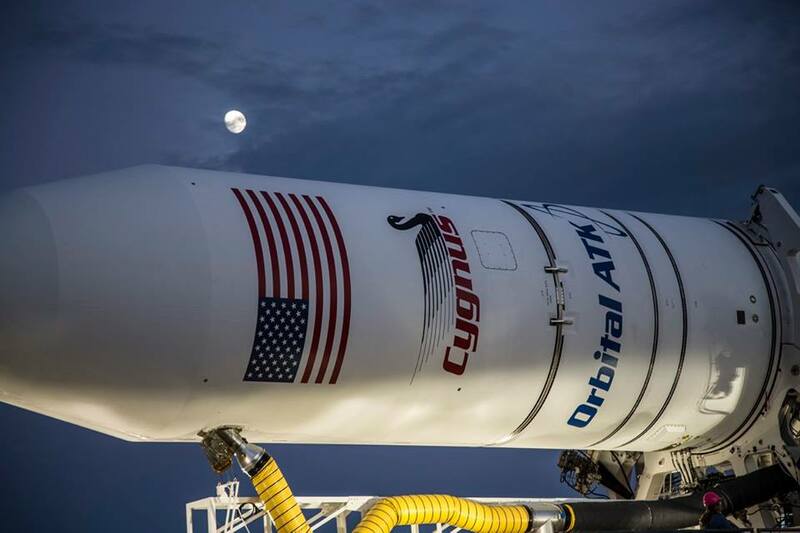 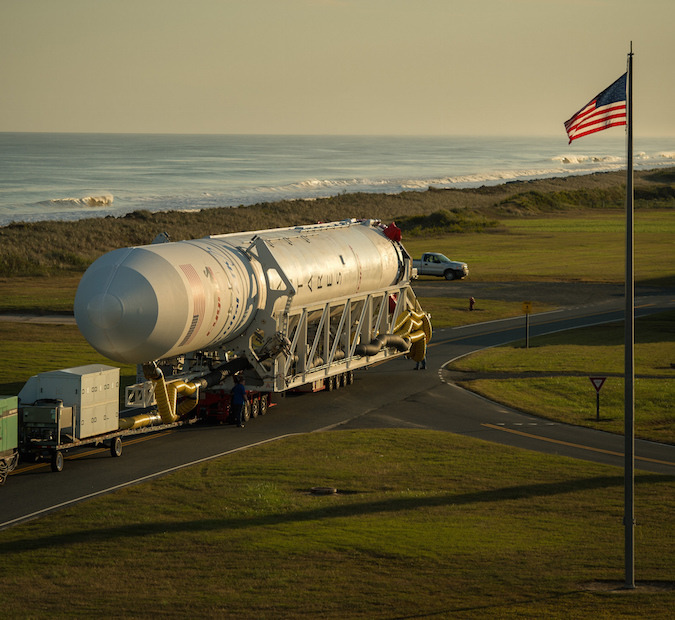 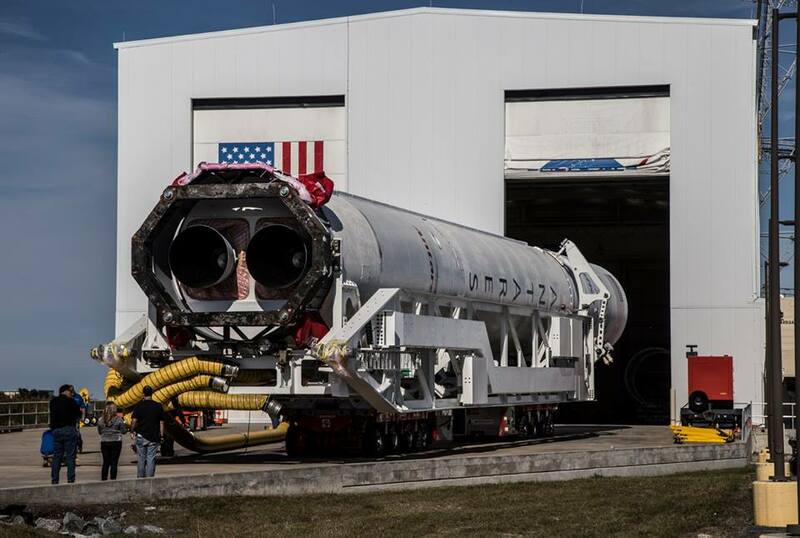 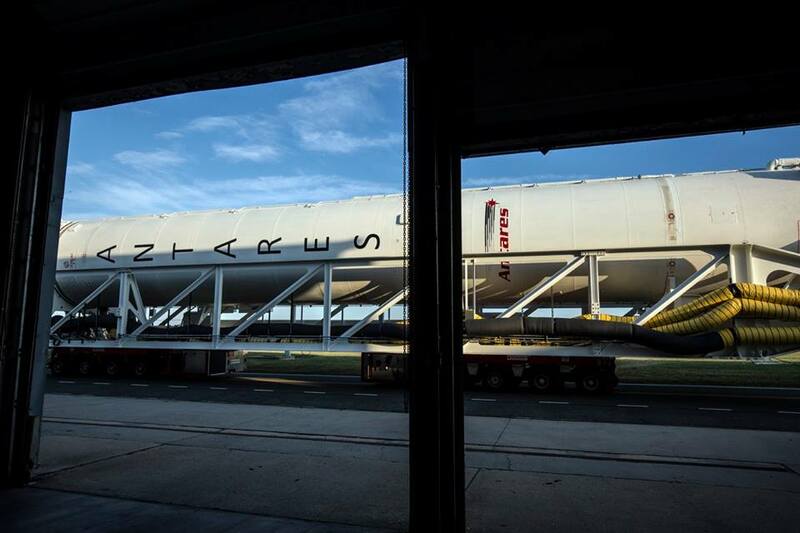 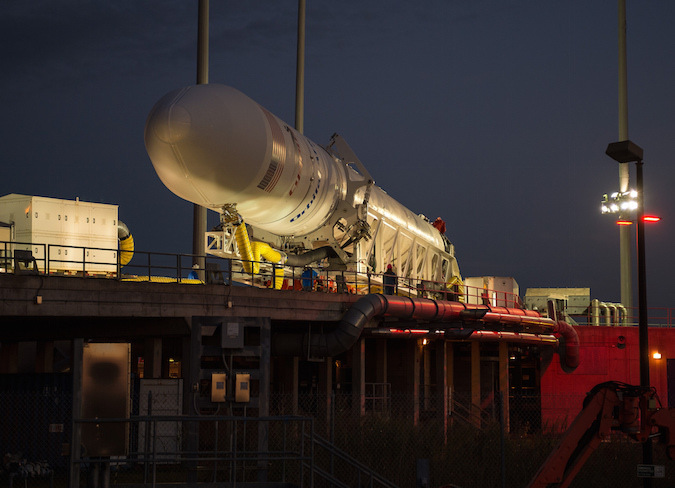 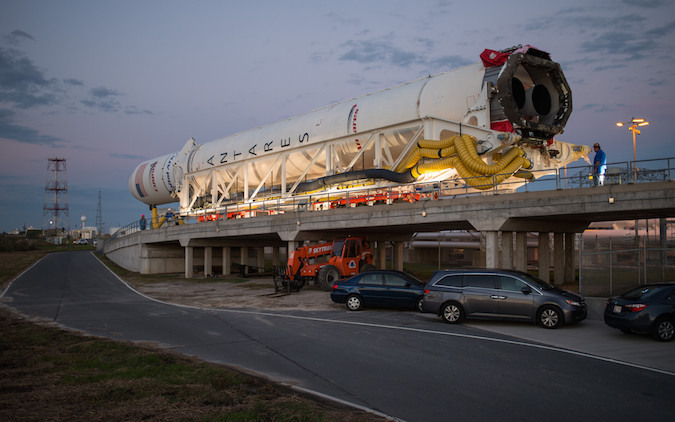 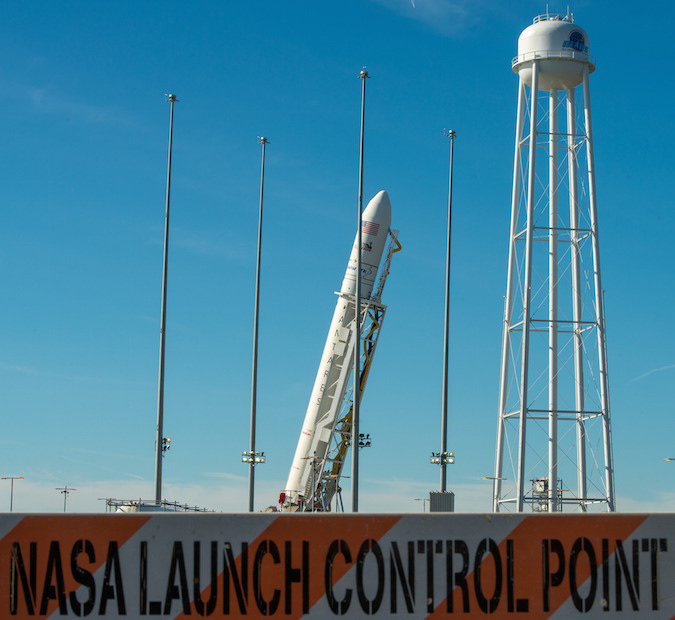 The rocket started its journey on a self-propelled transporter around 5:12 p.m. EDT (2112 GMT) Thursday and rolled down a two-lane road and up a ramp to launch pad 0A at the Mid-Atlantic Regional Spaceport. 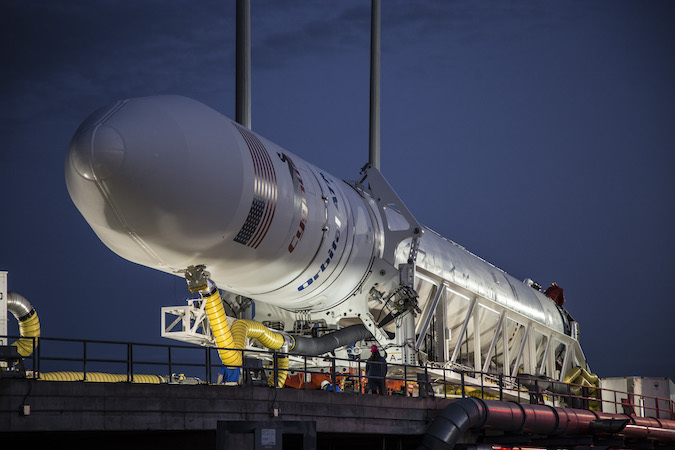 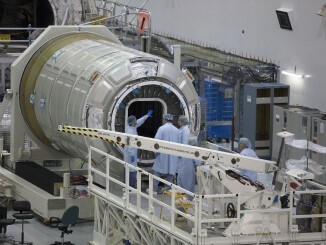 Ground crews lifted the rocket vertical Friday morning, ahead of a planned launch at 8:03 p.m. EDT Sunday (0003 GMT Monday) with more than 5,100 pounds of cargo inside a Cygnus supply ship heading for the International Space Station. 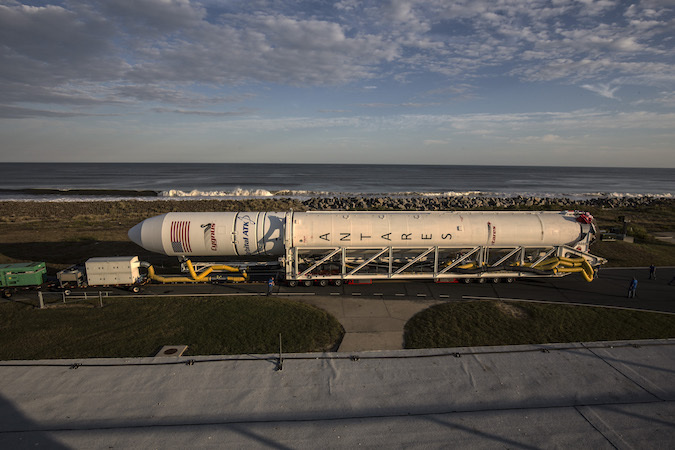 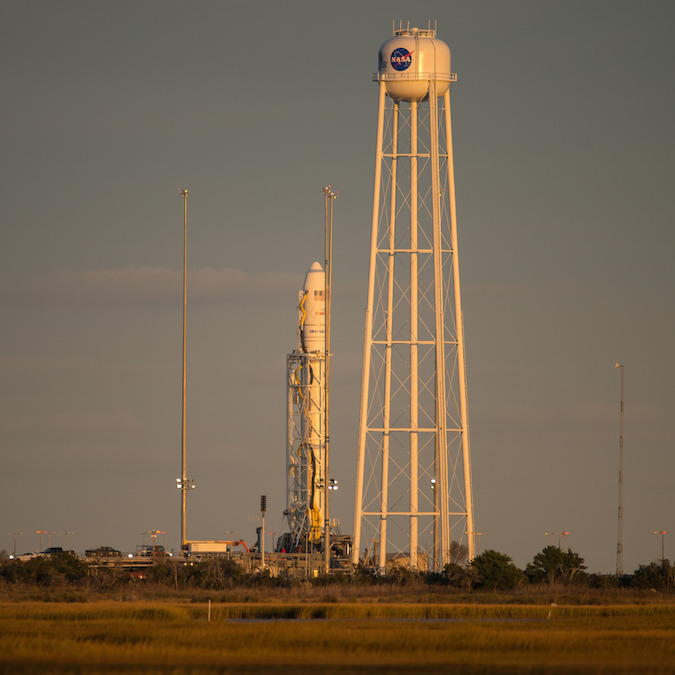 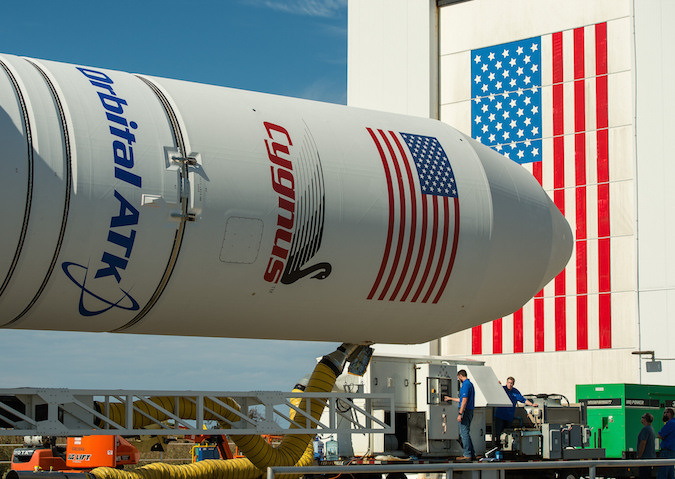 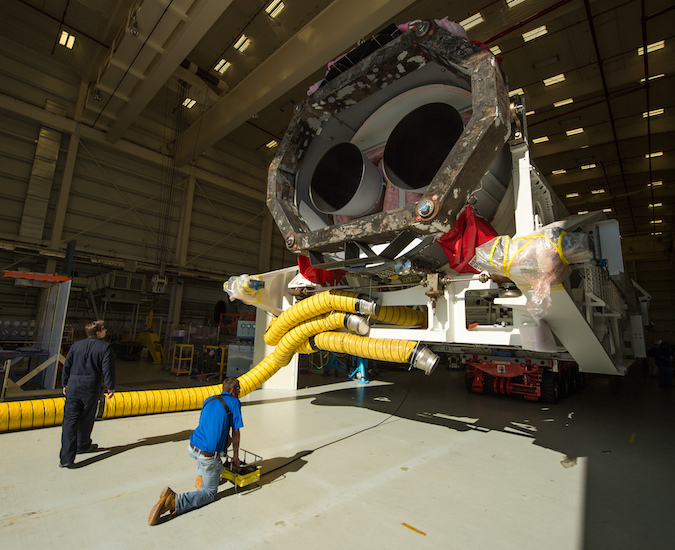 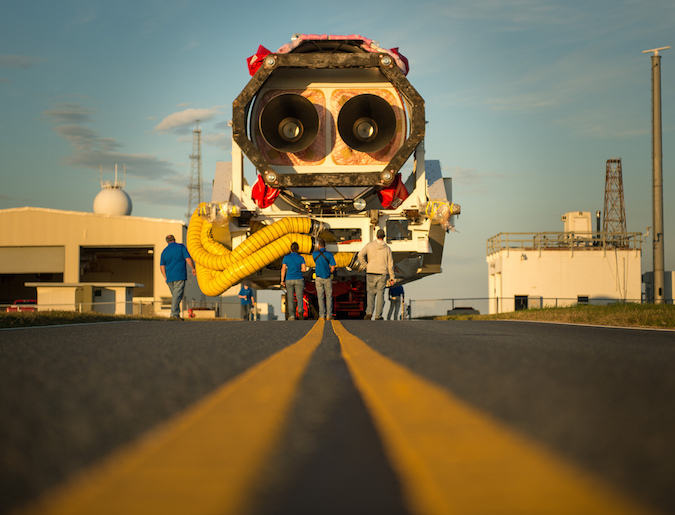 The photos of the rollout posted below include views of the new RD-181 engines mounted to the base of the Antares rocket’s Ukrainian-built first stage.